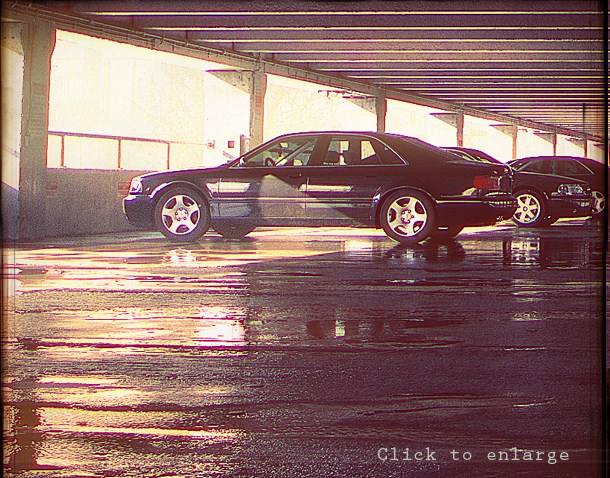 A little tribute to late 90s Audi a8. It started with a simple lighting test doodle but at some point I decided to work on it and see how far I can take it. 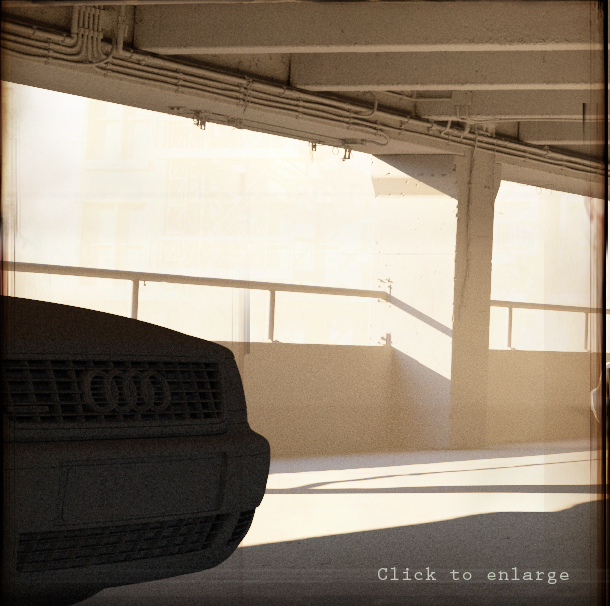 As I needed to fill it with some cars I bought the audi a8 model from humster3d. Model was in quite a good shape but adjustments/tweaks were necessary. Original plan was no plan at all, then I wanted to fill the scene with more cares but I kind of started to like the a8s only in it. Don’t take it too seriously, I was probably just lazy.